My children love corn but pearl corn is not easily found at stalls. 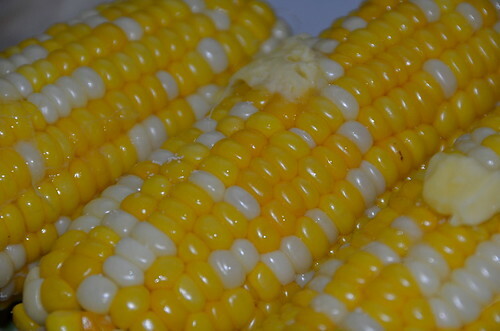 Pearl Corn is different from the normal corn because it is so sweet, have bigger kernels and can be eaten fresh. It is call pearl corn because of the white kernels. Nowadays, most wet markets sell fresh pearl corn which comes from Cameron Highlands. It is more expensive than regular corn but it is worth the money. We just had steamed pearl corn. The kids wanted them with butter and a bit of salt so the good mommy steamed it over a pot of boiling water and slather salt and butter on the three cobs. You can also pop the corn into the microwave and put it on high for about 2-3 minutes to cook it. 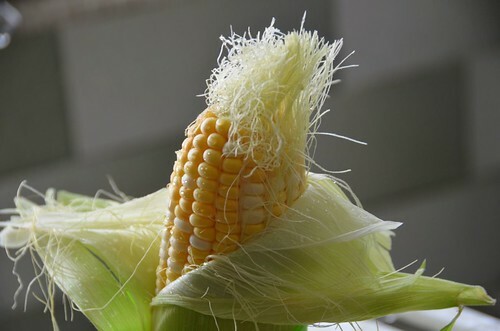 Of course, you need to peel off the outer layers which are the leaves and the corn silk or the hairy stuffs and then, wash the cobs clean before steaming. 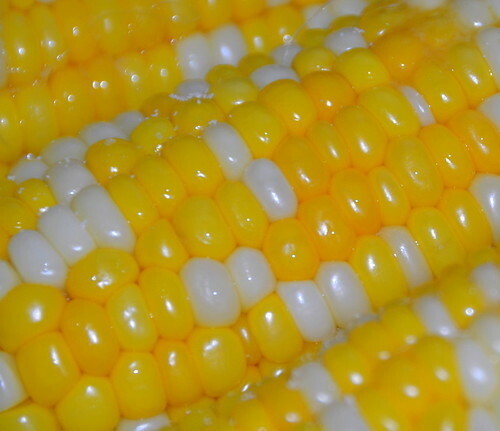 It is good to give to children steamed corn instead of fresh ones because we never know what bacteria sticks to them. Steaming will be safer for them. Yes! Pearl Corn is the best! We remove the kernels to make corncakes. Corn muffins are good too.